In only October last year, we reported on Fujifilm’s launch of the Acuity LED 1600 II wide format printer. More recently, in April, we spoke about the introduction of the new Acuity Select 20 series of printers by the same Original Equipment Manufacturer (OEM). While the latter may be the more recent news about a new product launch from Fujifilm, the former holds more importance now because of its connection to the latest launch of the Acuity LED 3200R inkjet printer. As you’ve no doubt surmised by now, Fujifilm has launched the Acuity LED 3200R inkjet printer to expand its highly regarded Acuity LED wide format printer series. The launch of the Acuity LED 3200R inkjet printer is connected to the Acuity LED 1600 II because it is intended to build upon the following that the 1600 II has garnered since its launch. As per the OEM, they decided to develop and launch the Acuity LED 3200R primarily due to feedback from the users of their 1600 II model. The company revealed that the said feedback categorically referred to the fact that users wanted the Acuity 1600 series of printers to be able to print on wider substrates. While the 1600 II was an improved version of an earlier 1600, the 3200R is a completely new model with a capacity to handle much wider substrates. The Acuity LED 3200R inkjet printer is capable of taking on substrates measuring up to 3.2 metres while the 1600 II could only handle 1.6 metres. The Acuity LED 3200R inkjet printer not only has a wider printing capacity than the 1600 II but it also provides a faster print speed. In fact, the 3200R is significantly faster than the 1600 II with a maximum print speed of 110 square metres per hour. The 1600 II had a maximum print speed of 33 square metres per hour. The maximum substrate weight that the Acuity LED 3200R ultraviolet inkjet printer can handle is to the tune of 100 kilograms. 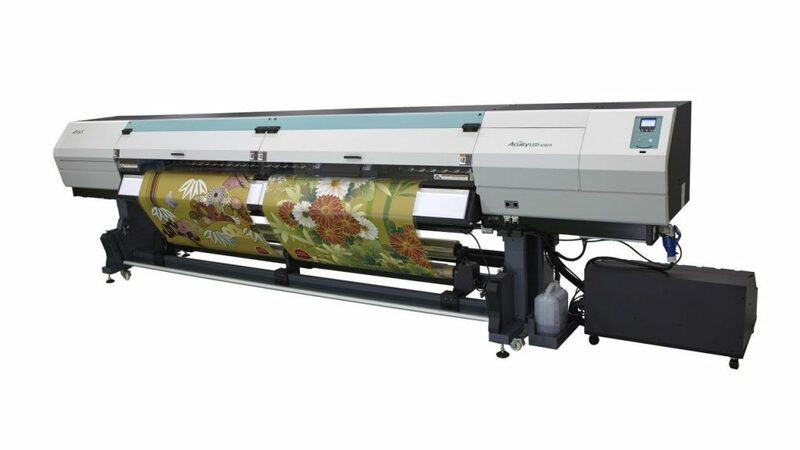 Another substrate related feature of this newly released wide format machine is that its owners will have the option to use two different rolls of substrates simultaneously. Between the additional speed and the wider substrate compatibility, the Acuity LED 3200R inkjet printer is designed to take the productivity, efficiency, speed, and output quality of the series to the next level. The standard configuration of the Acuity LED 3200R inkjet printer means eight different ink channels including clear, white, light magenta, light cyan, black, yellow, magenta, and cyan. The inclusion of the clear ink channel means that commercial users will be able to create high gloss spot varnish effects with the 3200R for many of their customers. Even the type of ink used in the 3200R is special as it is drawn from Fujifilm’s proprietary UVijet range of inks. The UVijet ink range is known for producing a wide array of colours, gentle gradations, and improved adhesion between ink molecules and different varieties of substrates. However, the greatest benefit of these ultraviolet inks is that they offer instant curing solutions. This means that more than a single layer can be printed on any substrate. Multilayer printing with up to three layers of print on the same substrate, in turn, facilitates specifically high quality prints. The Acuity LED 3200R ultraviolet inkjet printer was displayed in the recently concluded DRUPA 2016 and will soon be made available to buyers as well. 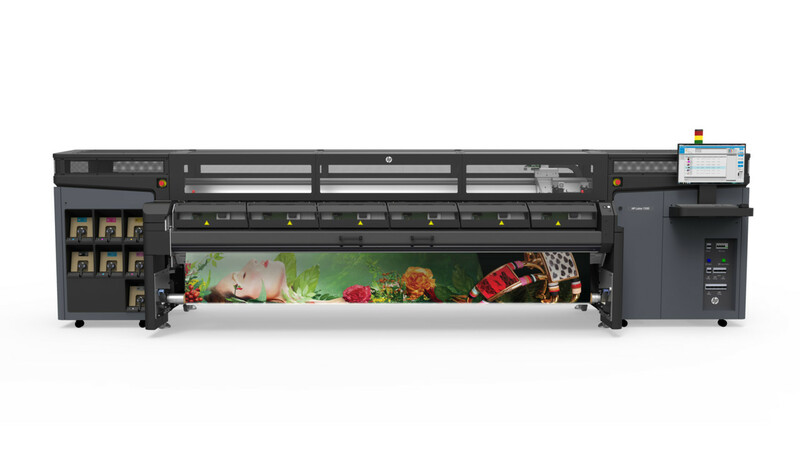 HP Inc. has expanded its Latex series of wide format digital printers with the addition of three new models. The series itself was launched last year along with HP Scitex printers. The three new printer models introduced are HP Latex 560, Latex 570, and Latex 1500. The new printer models are categorically designed to provide better production metrics in terms of volume and quality both. Essentially, these printers exceed the Latex performance benchmarks set by the earlier models while keeping costs as low as possible. The result is that these printers are ideal for fast growing sign and display Print Service Providers (PSPs) who are on the up. The HP Latex 560 and 570 are together known as the Latex 500 series and aimed at medium to large PSPs who expect their print volumes to go up steadily. Both these printers are capable of handling media as wide as 1.62 metres. Apart from wider media handling capabilities, the Latex 500 series has a few other new features also. For instance, these printers facilitate unattended printing as much as possible through a spindle less pivot table supplemented with automatic skew adjustment. 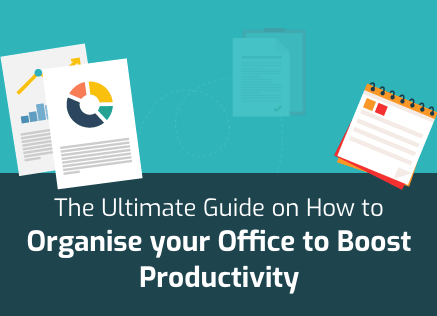 This pivot table makes loading rolls up to 55 Kg much faster and easier. 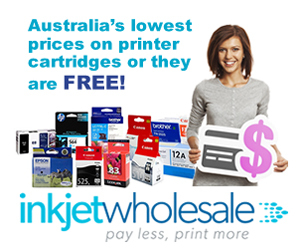 The print speed of these printers is also significant at 23 square metres per hour. Furthermore, each of these two printers displays high output quality since they boast 50 percent more ink density. Another quality of the models in this series is that they take up less space simply because they only need to be accessed from one side for maintenance and operation. This means that they can be put against a wall as opposed to earlier Latex printers which needed to be placed in the middle of a room. Needless to say, the printers in the Latex 500 series can be integrated easily into an existing Latex fleet. The HP Latex 1500, on the other hand, is an upgrade on the HP Latex 3000 series of printers. It can handle media spanning up to 3.2 metres in width and print at impressive speeds of 45 square metres per hour and 74 square metres per hour for indoor and outdoor production modes respectively. The output quality of the HP Latex 1500 is based around HP Thermal Inkjet print heads capable of 1200 dots per inch (dpi) resolution. These print heads are supported by an embedded spectrophotometre, an Optical Media Advance Sensor (OMAS), and an automatic nozzle replacement system. Prints are not only good looking but also resistant to drying and scratching. The total running cost of the HP Latex 1500 is kept in check through the presence of five litre ink cartridges. Moreover, there are a slew of optional add-ons that a user can go for with this printer such as a dual roll kit, in-line slitters, a roll to free-fall kit, a double sided day night kit, and even an ink collector that can come in handy with porous media. Each of these new printer models, whether from the HP Latex 500 series and HP Latex 1500 printer models is due to be made available by the middle of this year i.e. soon.